It’s no secret that I’m a huge advocate for using paint to transform a space. It’s super affordable and makes a HUGE impact. What’s not to love? 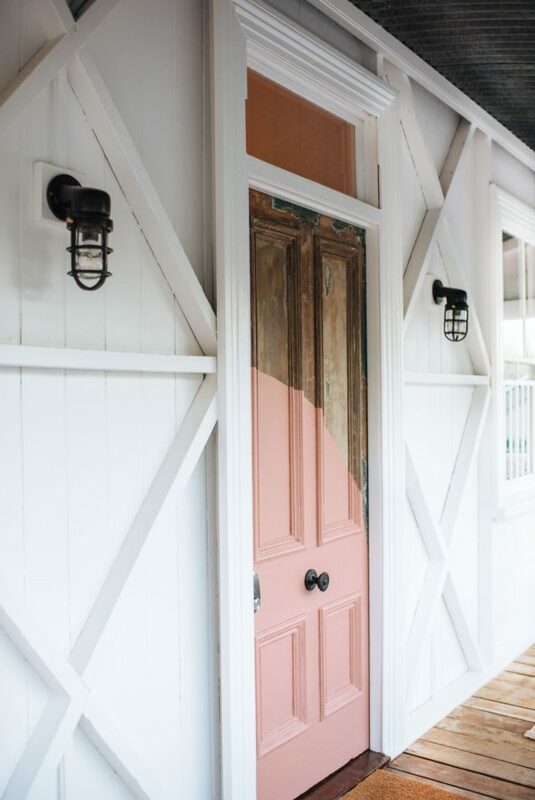 So, I always kind of keep my eye out for new paint trends that I see popping up here and there. And lately, I’ve been seeing some really unique paint treatments that are making me want to break out a paint brush. They’re continuously popping up in really cool homes right now, so I thought I’d get your opinion on this trend and see what you think? From cool color combos to unique shapes, these 8 paint ideas will get you inspired to rethink the way you paint a space OR have you running for the hills. So, what do you think…Yay or nay? Click through to decide. 1. 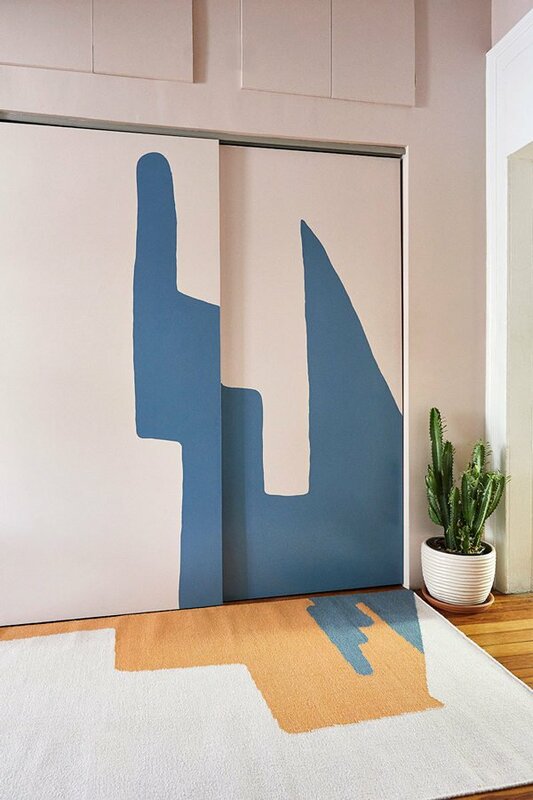 (above) Basic closet doors feel super special and custom with this painted organic shape, that is mirrored in the rug on the floor from Cold Picnic. Also, that grayish blue paint color is one that I’m currently obsessed with. 2. 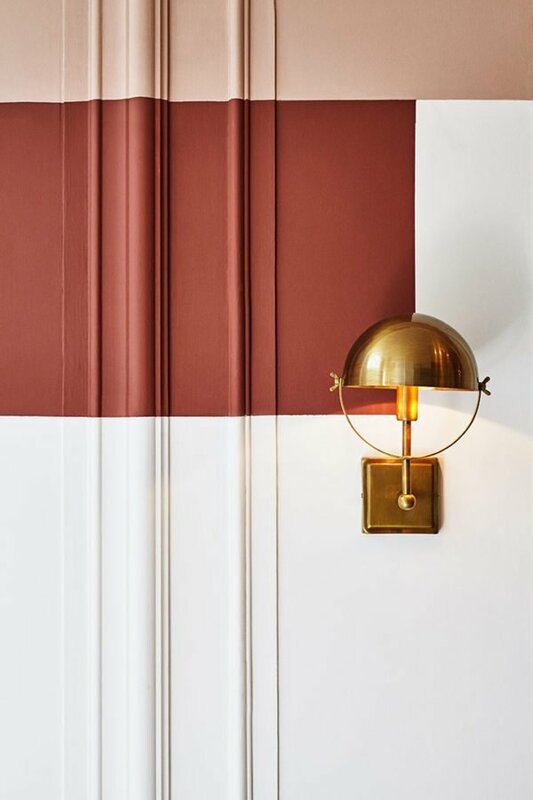 This color combination of brick and blush, mixed with the wall molding and the brass light fixture feels classic yet contemporary. 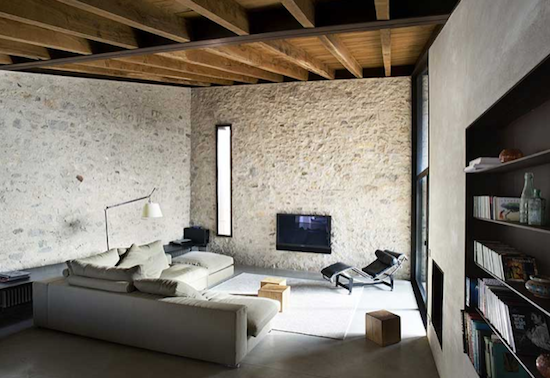 Via Arch and Home. 3. 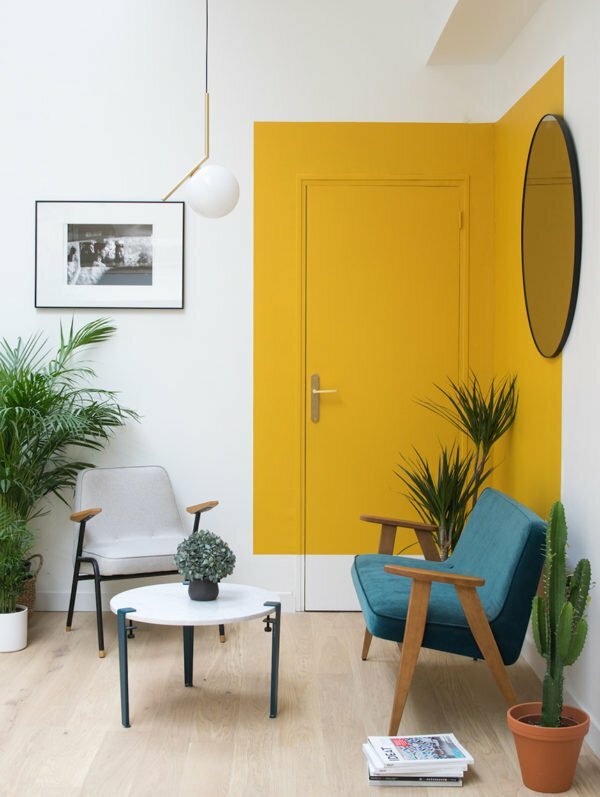 A mustard block of color is carried through the wall and doorway of this space from Les Confettis. 4. I love how modern, yet traditional the front door of A Pair and A Spare‘s home. The paint is playful and the exposed, worn wood reminds visitors of all the stories this older home has to tell. 5. 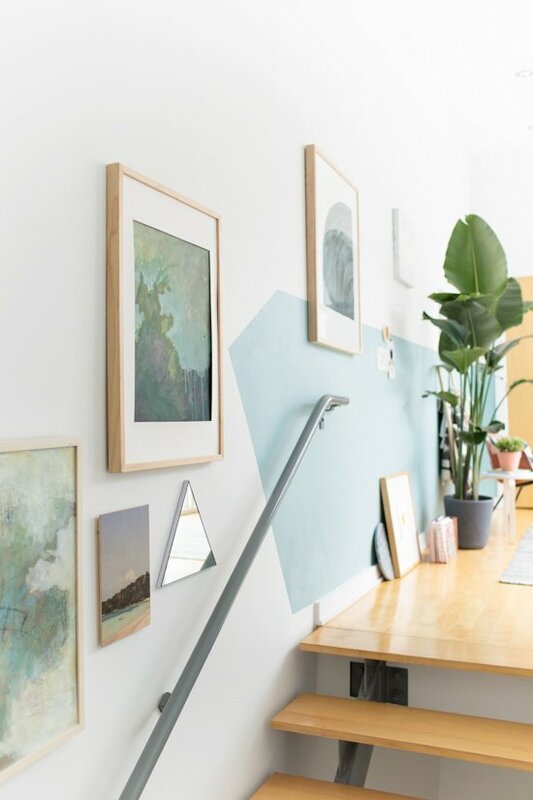 Can’t think of a design to paint on the wall? Look down! 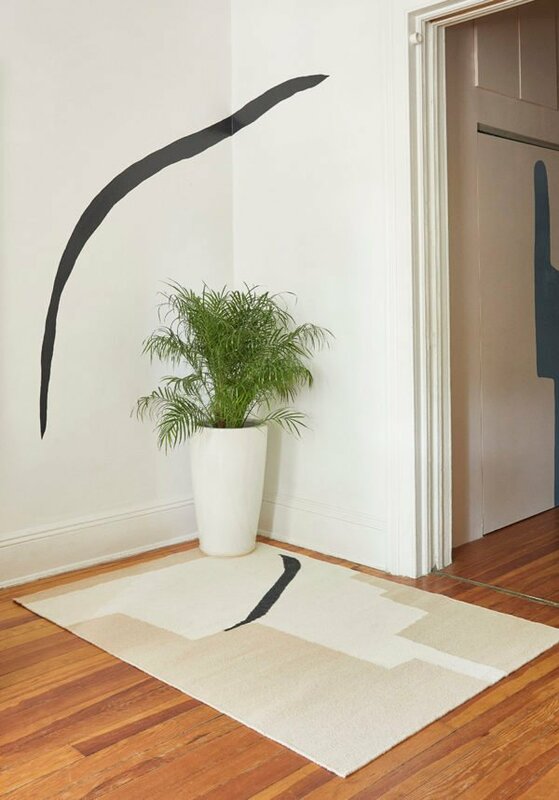 Love this design detail from Cold Picnic – one simple shape mimicked on the wall, just like in the rug. 6. Does this one look familiar? It’s a paint treatment I did for my old workspace. 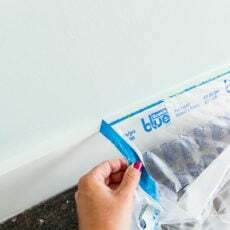 I just taped off a unique shape for the end as a way to finish the half painted wall, so I wouldn’t have to keep painting all the way down the staircase. Sure it was lazy, but it’s also kind of fun. 7. 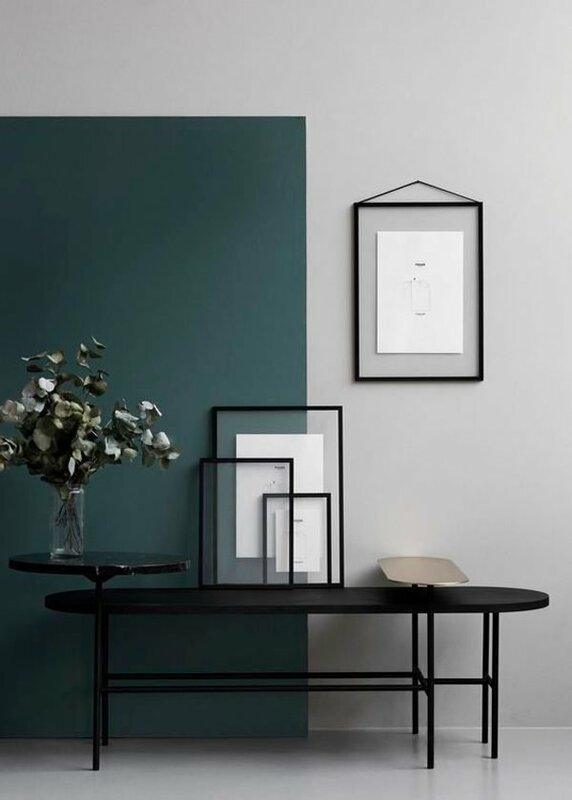 How moody (in a good way) is this paint design from Monologue London?! 8. 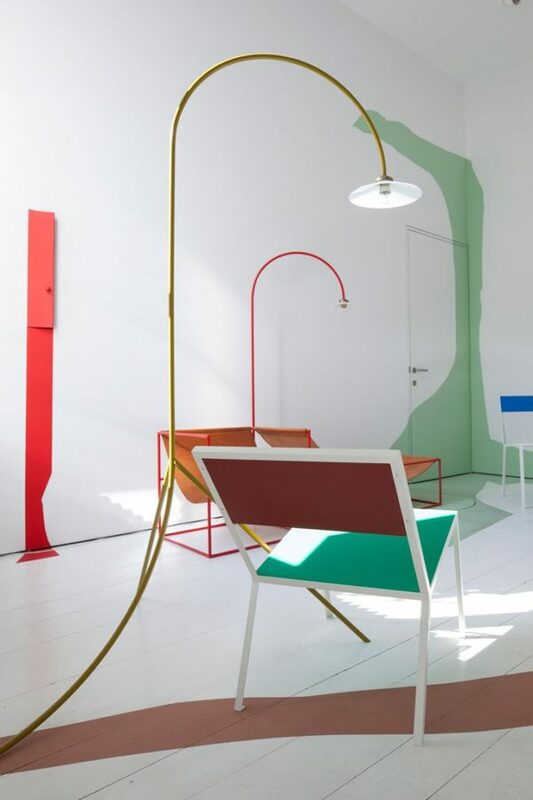 Really step outside the box with bold colors on the walls (and floors) with this idea from Trendland. So, what do you think of this paint trend? Are you on board – Yay or Nay? LOVE THEM ALL! Very creative, very simple, very cool. Glad to hear that Peggi. I love them all too! Such cool designs with such an affordable material. I love the idea of just painting an area of a room, I gotta try this sometime! When I no longer have to rent, I think I’ll totally try some of these ideas! We recently took the plunge and painted a our living room wall in a dark blue. This however is a whole other level. Looks great! Amazing how something that costs so little and looks so simple can transform the look and feel of a room and property.